Wil Collins carded a final round of 69 (-1) to win the Oakley Southern California Open at Monarch Beach Golf Links on March 23. New Mexico’s Wil Collins went wire-to-wire to shoot a tournament-winning score of 201 (-11) and claim the Oakley Southern California Open at Monarch Beach Golf Links on March 23. The three-day tournament, sanctioned by the Southern California Professional Golfers Association, featured a talented field that competed on Monarch Beach and Arroyo Trabuco Golf Club from March 21-23. 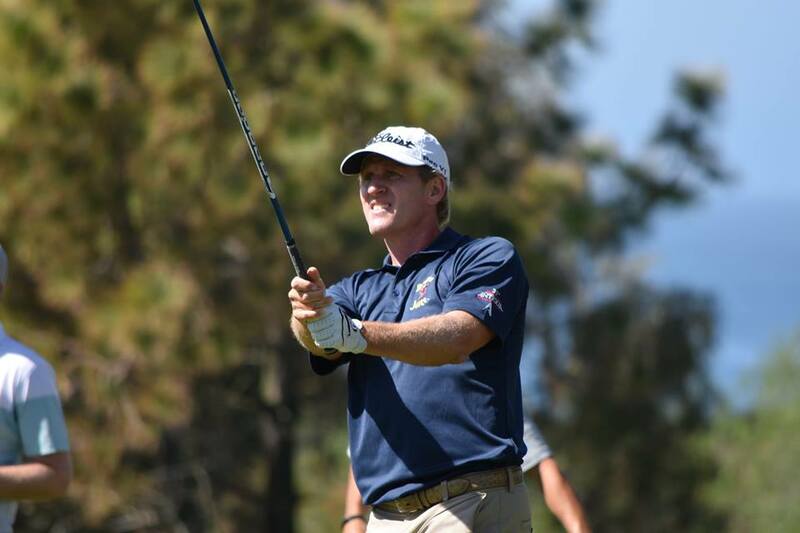 Collins fired an opening-round 63 (-9) at Arroyo Trabuco to give himself a healthy lead. Back-to-back rounds of 69 were enough to hold off a charging field behind him. Max Homa, who was a member of the PGA Tour last season, birdied five holes on the back nine at Monarch Beach in the final round to threaten, but a costly double bogey on the 16th hole ensured he would finish one stroke back at 202 (-10). Homa’s 66 (-4) in the final round was tied for the lowest score of the day. Homa’s hot stretch on the back nine, playing two groups in front of Collins, made him the leader in the clubhouse at -10 for the tournament and was in solo first when he closed out his round. Collins, who had a five-stroke lead with nine holes to play, stood on the 17th tee needing to birdie the final two holes to win. Collins poured in an eight-foot birdie putt to tie Homa on 17 and rolled in a 10-foot birdie try on the par-5 18th to cap off the win. Collins took home the grand prize of $10,000 for his victory. All players in the field played their opening two rounds at both Monarch Beach and Arroyo Trabuco in hopes of making the 54-player cut and advancing to the final round at Monarch Beach.